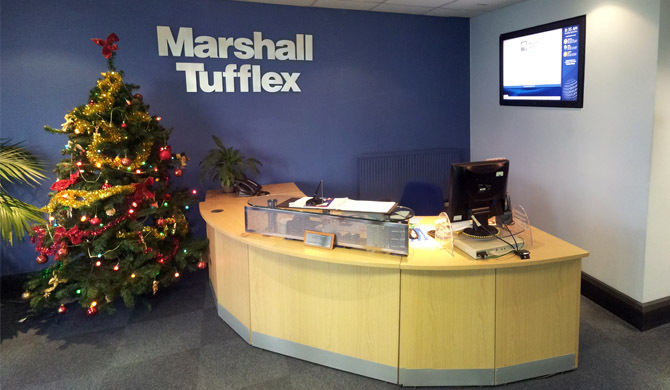 I was asked to design and build an digital signage application to be shown on the reception visitor display at Marshall-Tufflex’s head office in Hastings. 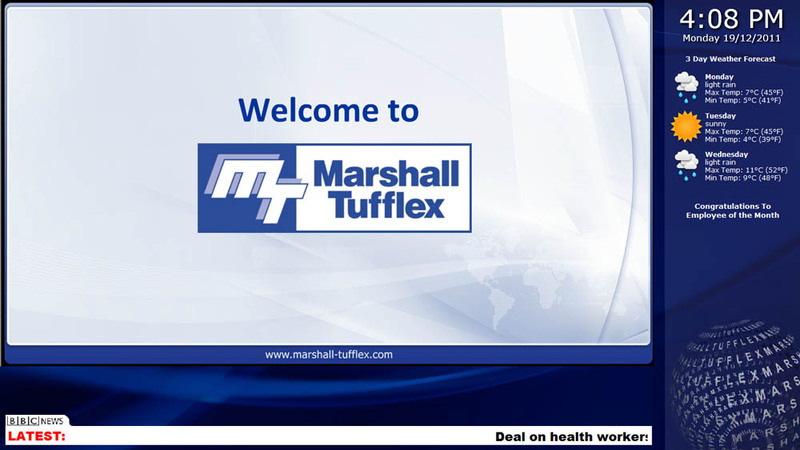 The application was designed in Adobe Photoshop then built in Adobe Dreamweaver and Adobe Flash. 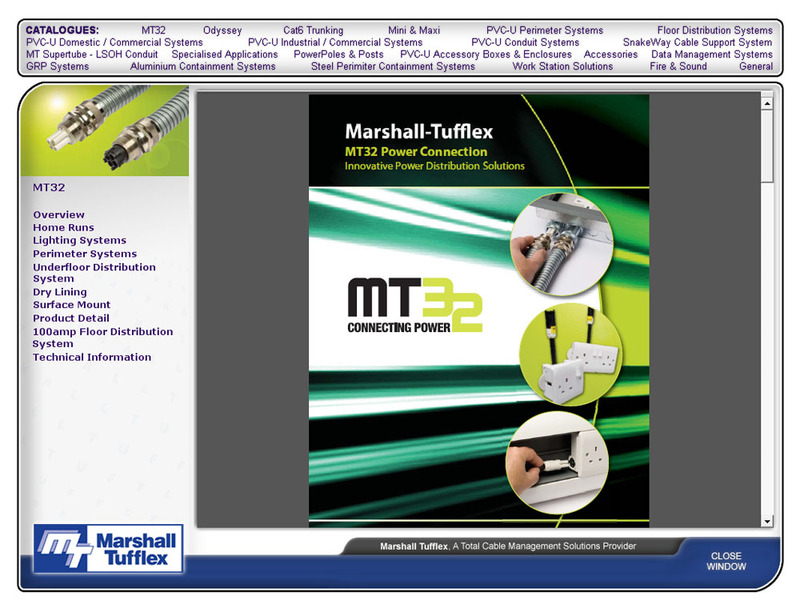 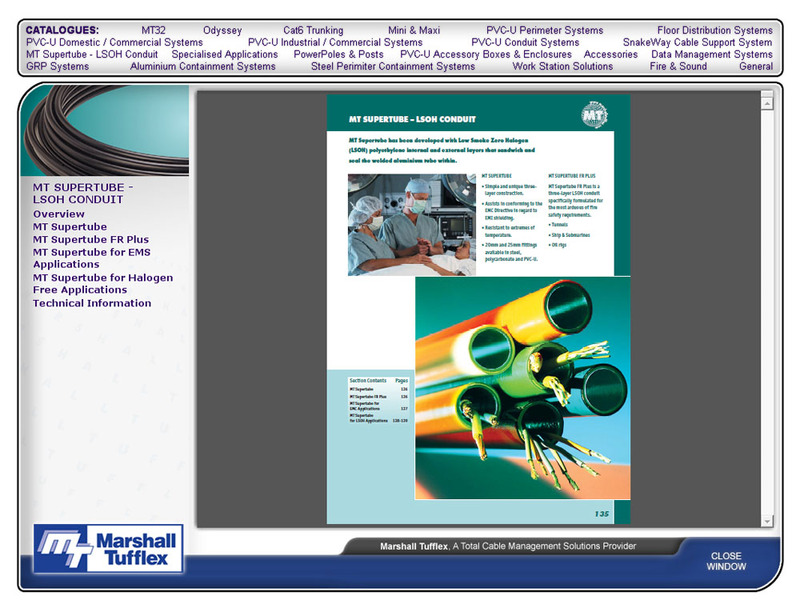 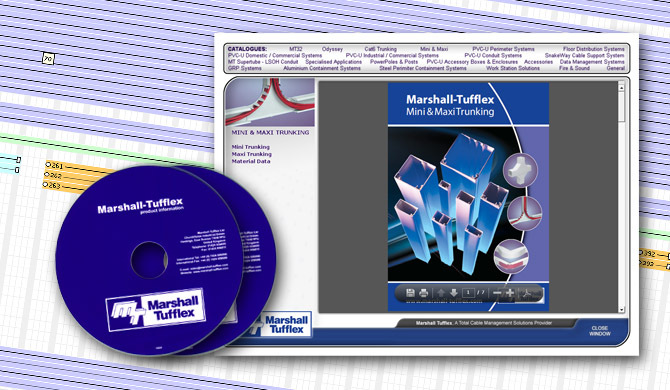 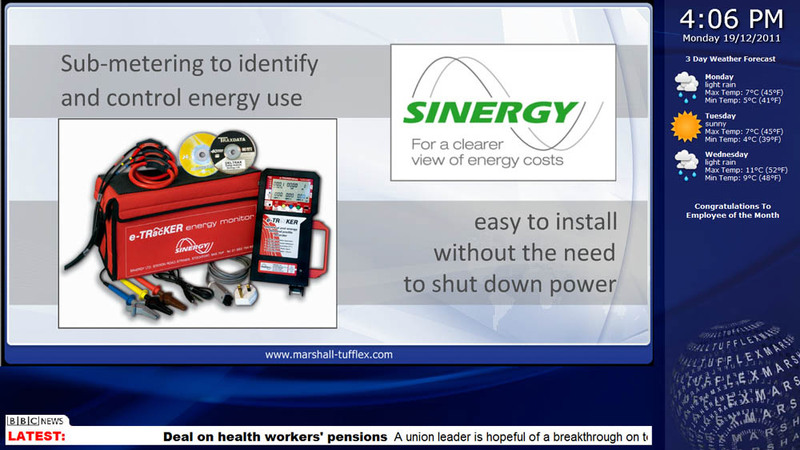 I was asked to design and build an digital catalogue application which could be used by customers to view the full Marshall-Tufflex catalogue from either CD-ROM or memory stick. 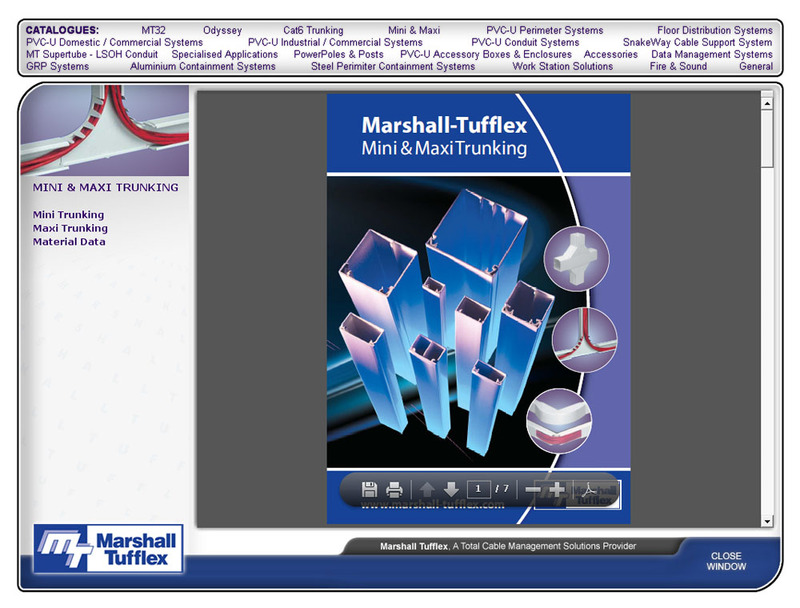 The application was designed in Adobe Photoshop and Adobe Flash then built in Adobe Director.